Christopher McKee, UC Berkeley’s interim vice chancellor for research and a professor of physics and astronomy, was honored at last week’s American Astronomical Society meeting with the 2016 Henry Norris Russell Lectureship for lifetime preeminence in astronomical research. Christopher McKee, interim vice chancellor for research, was honored by the American Astronomical Society. 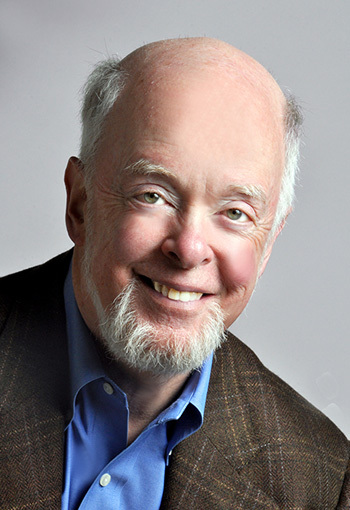 The society lauded him for “innovative ideas, powerful theoretical insights and practical models that have had significant impact on many areas of astrophysics,” noting McKee’s work on the interstellar medium and star formation as well as his leadership in the university and national astronomical communities. A theoretician and a member of the UC Berkeley faculty since 1974, McKee has carried out investigations of a wide variety of astrophysical phenomena, ranging from the Milky Way galaxy’s interstellar medium to quasars and cosmic gamma ray bursts. His current research focuses on the formation of stars, from low-mass stars like the sun to massive stars that create most of the heavy elements in the universe. He hopes to understand how the first stars formed and what determines the rate of star formation in galaxies. McKee is a member of the National Academy of Sciences and a fellow of the American Academy of Arts and Sciences, the American Association for the Advancement of Science and the American Physical Society. He served as founding director of the Theoretical Astrophysics Center in the Department of Astronomy, director of the Space Sciences Laboratory, chair of the physics department and interim dean of mathematical and physical sciences. He was appointed interim vice chancellor for research in April 2015.